He has also learned to differentiate between a Visitor and a Neighbor. He knows that visitors expect him to show off, do a little Doofus Dance. Neighbors just make strange and sudden off-site noises and are to be ignored. Unfortunately, he prefers to do the trick first, and then have me guess which one he did! This was very useful when the Veterinarian had to examine his eye, and later when I had to put ointment in every day. When I would tell him I had medicine for his eyeball, he would sit quietly and let me put goop in his eye! 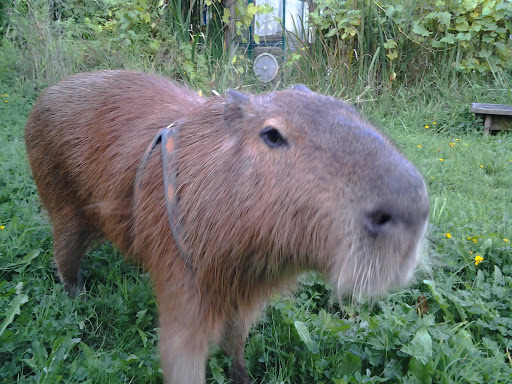 Dobby has taught me to communicate, capybara-style, too! He taught me to tip my head to point at things, or point with my head to tell him to come. He wiggles his ears to approve and head butts me to make me stop dead in my tracks! He motions with his mouth to tell me he wants something, and makes a low cluck for approval. He squeaks with anticipation and keeps up a conversation with his purrs. He barks to alert me to danger. It’s his Doofus Dance that tells the biggest story, though. 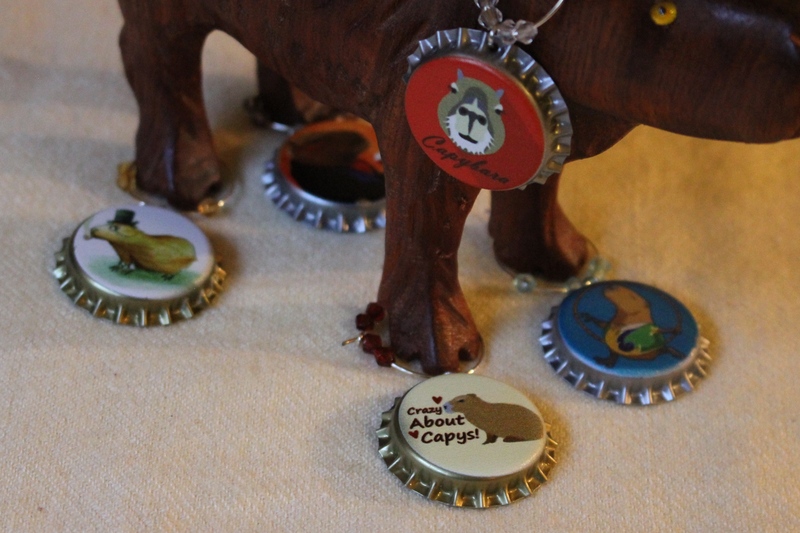 He twirls and spins and runs back and forth, then spins again, and I know he’s a happy capy! I am surprised he knows swimming. Has that worked lately?